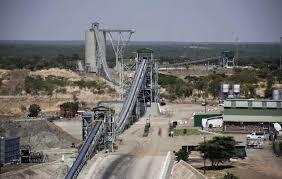 HARARE, (CAJ News) – ZIMPLATS and the Zimbabwean government have reached an agreement over land which the latter had sought to acquire compulsorily from the mining firm. The differences were over the land measuring 27 948 hectares within Zimplats’ special mining lease area. An announcement had been made in March. In a statement by Alex Mhembere, Chief Executive Officer Zimplats Holdings Limited, the mining company disclosed it had agreed to release to the government land measuring 23 903 hectares within Zimplats’ mining lease area. Zimplats said this was in support of the government’s efforts to enable participation by other investors in the platinum mining industry in Zimbabwe. Following this release of ground, Zimplats now holds two separate and noncontiguous pieces of land measuring in aggregate 24 632 hectares. Consequently, the operating subsidiary applied for and was granted with effect from May 31 2018, two separate mining leases over the two pieces of land measuring 6 605 hectares and 18 027 hectares respectively. The mining leases replace the special mining lease which was due for renewal in August 2019. “The two mining leases issued to the operating subsidiary are valid for the life of mine of Zimplats’ mining operations and they secure the operating subsidiary’s mining tenure,” Zimplats concluded.